Want Instant Access to All of our Articles and Videos? Get your all-access pass emailed to you immediately, as well as ongoing education and updates. 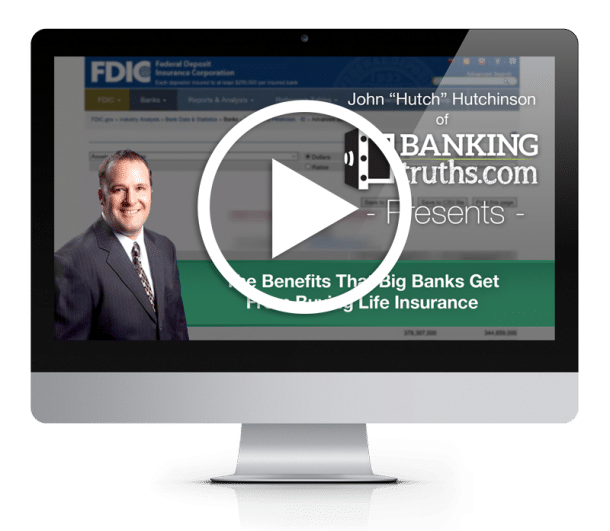 This video looks all the way back to the year 1900 to see how market movements over different periods could have affected Indexed Universal Life insurance. We also specifically reference an 81-year study of the S&P Index to see how capped and uncapped IUL strategies would have both performed. Click the green button below to book your own custom call to receive personalized recommendations. Click here to see more Videos and Articles on Indexed Universal Life. Let’s talk about historic market movements and how that applies to indexed universal virtual life going forward. We’re going to start with the Dow Jones Industrial Average. Because we can go way back to the 1900s but I first just want to show you that the Dow Jones when compared to the S&P 500 they really move in tandem and they’re not that dissimilar. We can use that Dow Jones as a proxy to go way back. If we look at the last two years you can see that the two tend to move in tandem together when one’s going up so’s the other. If we stretch this out for a five-year chart we can see very similar movements and even if we go all the way back to 1985 again we can see that these two indices tend to move together. With that let’s go to this Dow Jones Industrial Average chart going all the way back to 1900. Today we’re in 2018 and people often say you know what if it’s different going forward? I know what’s happened in the past but there’s been a lot of volatility in events that have moved the market. World Wars, inflation, hyperinflation, deflation, depressions, recessions, everything else our country has been through it. And generally what happens is markets consolidate for a while, they trend, they crash, they consolidate, they trend. They consolidate the trend. They crash, they trend, they crash, then that works out to be like a consolidation but pretty major if you remember the last decade. And again now we’re trending. But what I want you to notice is in no time does the market just go down and down and down and down and down and keep going down. If it does we all have much bigger problems than our paper assets, whether it’s insurance or stock certificates or deeds to real estates or closely held business interests or whatever. If the market continues to do what it has done since 1900 and what it has done in this particular study since 1937: this study here is done by a third third-party mutual fund company and we’re going to look at what the market has done and apply that to Indexed Universal Life going forward. So this is critical thinking there are no guarantees here. But again we just saw how the market behaves and this is a pretty long study period in its own right. So 62 of these 81 years were positive, 19 of these 81 years were negative. And although this mutual fund company is giving us averages of the actual markets we’re not going to do that we’re not going to focus on the averages we’re going to think critically about what IUL would have done in these different market environments. And obviously, the biggest benefit is during the negative years we can wipe out all of these negatives and replace them with a contractual 0 percent floor. And by doing so we avoid some of that volatility that we saw on the previous page. So something like this if you’ve worked your whole life to retire you may never come back to that. And you may never come back from that. Even though the market rebounded if you have to take income from your portfolio or wait an extra 10, 15, 20 years to retire that may not be a good thing for your unique situation. Same thing with even a consolidation period like this or the last decade. As many of you remember and again we can wipe that out with how Indexed Universal Life is structured at least for that pool of assets. So perhaps you can draw from your Indexed Universal Life why your mutual funds and stocks heal. Let’s also take a look at the positive years – so one of the downsides of Indexed Universal Life are the caps and in today’s day and age the typical caps you’re going to see are zero to 11 excuse me 0 percent 4 and 11 or 12 or maybe even 13 percent cap which is pretty nice. But you’re going to miss out on those big trending periods we saw maybe. Let’s take a look. So of the 62 positive years remember this is 62 out of 81. Only 10 of them resulted in periods where you earned zero to six percent where you could still earn a positive return on your IUL but you probably could have done so anyway or close to that by just choosing the fixed account. Actually, in 2018 a lot of IULs have a fixed account option where you can just choose this and get somewhere between 3 to 4 percent without having to worry about getting a zero in a negative year. But at least you can get positive crediting: we can see that nine out of these positive years you get between six to 12 percent and this is right in Indexed Universal Life strike zone because it’s obviously greater than the fixed account and to be able to earn double-digit returns without any worrying about any of these market losses is pretty favorable. However with the traditional IUL cap what you’re missing out on are all these other years so there are eight years of this 62 where you could have earned 12 to 18. There are 16 out of the 62 where you could have earn 18 to 24 and there’s 19 out of 62 where you could have earned over 24 percent. And obviously you hit your cap in Indexed Universal Life but you’d miss out on some of these excess returns. And that’s why we like carriers that offer some sort of uncapped option. And they’re becoming more and more common inside Indexed Universal Life oftentimes with something called a spread which acts like a fee. It’s not a fee because you only get charged in years where there are positive returns. There would be no spread if you were to earn zero down here you just wouldn’t get charged or spread on top of that. But in today’s markets a lot of times the spread is negative 5 percent let’s just say in order to get an uncapped option. What would happen in these 10 periods out of this 80? Out of these 62 positive years and actually out of that total 81 year study period you just would not get any positive crediting you get a zero. And there may be some costs of insurance that would erode your cash value somewhat. In the nine years, it would reduce whatever return the S&P provided by 5 percent and they would just take this spread. Again it’s like a fee but only in positive years. This would have been better off in these periods just choosing the traditional one-year S&P Cap. However in these years. Right? There are eight positive years where it was over 13 percent 16 positive years whereas over 18, 19 positive years whereas over 18 where you may not be negatively impacted actually these may be close to a wash and it depends on the exact nature of the return. If you subtract five from these returns actually it probably a little worse than a wash than if you just chose the one your S&P Cap but it wouldn’t be devastating. But take a look at these years. If we subtracted five percent from all these periods where you earn 18 percent or more you’d probably be better off than just choosing the one-year S&P Cap and we could just take this 130 minus 5 25 that’s pretty good even 19 and a half minus five. That’s 14 and a half 22 and a half minus five. That’s 17 and a half. There’s 16 plus 19 years that’s 35 years out of the 62 positive years where you would have been better off choosing the uncapped option which is pretty nice to have in your portfolio and it doesn’t have to be an either-or conversation so you don’t have to choose well this or that right, you can in an Indexed Universal Life you can often say you know what. I’m just going to choose I’m going to put 60 percent in my uncapped option and maybe I’m going to put 35 percent in my one year option. And you could put 5 percent in that fixed account. Let’s just say it’s earning three and a half percent just so you make sure that you get a little something a little positive credit for a portion of your cash value in case there’s a down year and you don’t get anything right. There’s none of this. You just get a down year but you get a little bit 5 percent of your cash value earns three point five percent. These are the options and things we look at when considering Indexed Universal Life policies given some of these risk tolerance. The other thing is people talk negatively about market timing in the context of stock investing and it’s understandable because they show their studies by Dalbar that shows average investor returns how they buy at the top and sell at the bottom. But with Indexed Universal Life, it could be different. So since you’re always going to have that 0% floor and if you choose any of the options you’re going to participate in some of these upside movements then maybe you could be a little more tactical in choosing. You know we just had a big rebound I think I’m going to allocate a little bit more to the uncapped options or you know we’re in this choppy period and I’m not sure what’s going to go on so maybe I’m going to throttle down the uncapped option and just choose the one year S&P and maybe blend it with fixed account and while there’s been over a decade now where we’ve consolidated and I think we’re going to go to the moon. So I’m going to throttle and choose a little bit more of the uncapped option. I don’t mind people being a little more tactical with Indexed Universal Life because you’re not you’re not risking missing out on participation since you have some sort of choosing any of the strategies you’re going to get something in your upside and in the down years that you’re not going to have to worry about losses that you’re going to have to make up for. Click here to schedule a call with us to take a deeper dive into Indexed Universal Life to help you understand how this could look for your situation going forward. Information presented on Bankingtruths.com is for general educational purposes only. It is not a recommendation of any specific insurance or financial product. Be sure to have extensive consultations with a licensed professional about the implications pertaining to your specific situation before implementing any strategy discussed herein.